So I hit an interesting issue whilst performing a VMware upgrade from 4.0 to 5.5. 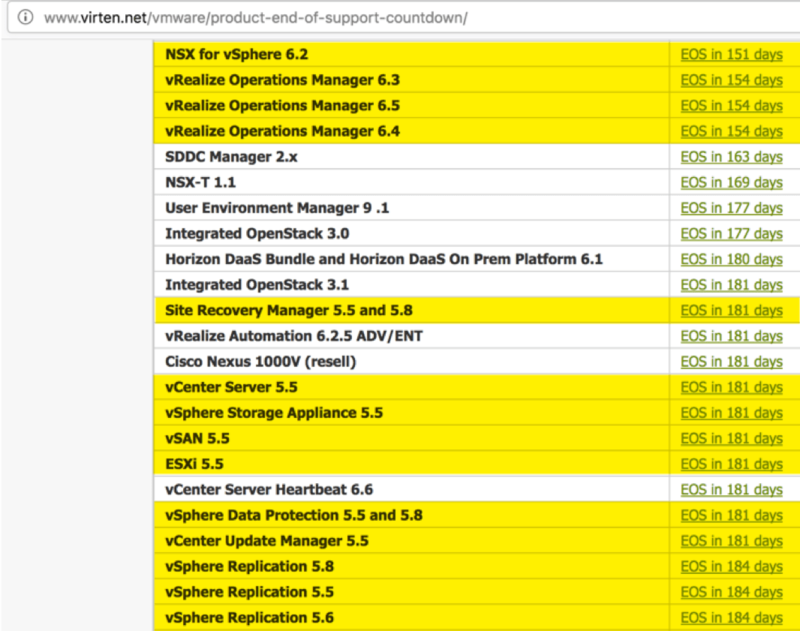 There was a legacy issue left where vCenter had lost its knowledge/configuration of the DVS Setup. Im not entirely sure what happened or when, as it was an existing environment, I only know I had to fix it. (Many thanks to the help from my good friend over at www.vmtechy.com for refreshing me on the ESX 4.0 command line to fix this). Within the vCenter Client, on the host summary tabs. 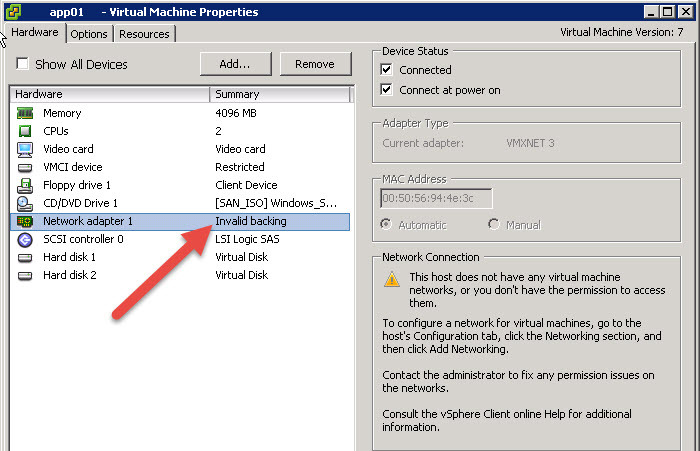 When looking at the Virtual Machine settings.